Tir Prince Raceway Ltd is delighted to announce the purchase of Llandudno Pier. The Victorian pier at Llandudno was completed in 1878 and is constructed using cast iron piles, steel frames and wooden decking is 695m long and is grade two listed. 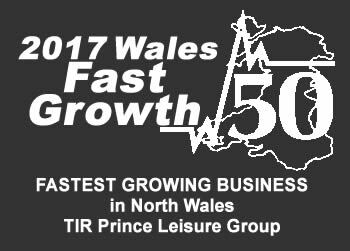 Tir Prince was established in 1950 when founder and travelling showman Billy Williams relocated from Bolton to North Wales opening some of the very first amusement arcades along the North Wales coast and is now under the stewardship of grandson and Managing Director Adam Williams. “I am passionate about the local area and the local economy. With the support of local councils and entrepreneurs like myself there is a real opportunity to generate jobs and prosperity if we all work together. The future for us looks promising”. We would further like to thank the local companies that have helped us with this iconic purchase. Saliburys & Co of St Asaph. Gamlins Solicitors of Rhyl and Gary Fletcher of Barclays Colwyn Bay.